Amid the current, epic title race, relive the classic 2011/12 battle between Manchester City and Manchester United. [stoke]Stoke boss Mark Hughes is proud of what his side have been able to achieve this season, regardless of what a trip to West Brom on the final day has in store. MH: We have the chance to finish in the top 10 for the 1st time & if things go well we can go 9th which would be an incredible achievement. MH: We've been a lot better throughout the second half of the season, but to be fair that is exactly how I envisaged the season panning out. Good news for Manchester United and England, with Ryan Giggs having told MUTV that versatile defender Phil Jones 'should' be fit for World Cup duty after picking up a shoulder injury in Tuesday's 3-1 victory over Hull City. [southampton]Southampton are guaranteed to finish the season in eighth place, and manager Mauricio Pochettino considers that to be a success as he readies his troops for a home date with Manchester United on Sunday. 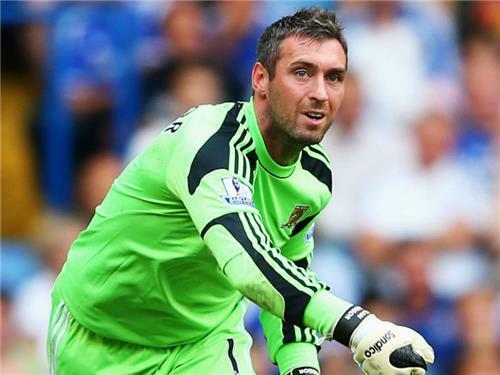 [hull]Hull City goalkeeper Allan McGregor is in contention to start against Everton on Sunday after a six-week lay-off. The Scotland international appeared to be out for the season when he broke three ribs and damaged a kidney at the end of March but has been battling desperately to prove his fitness before the FA Cup final on May 17. Paul McShane (ankle) may also feature for the first time since February, with captain Curtis Davies due a rest alongside cup-tied duo Shane Long and Nikica Jelavic, but Robbie Brady (groin) and James Chester (hamstring) are definitely out. Barry Ferguson has confirmed he is leaving Blackpool and has backed Jackie McNamara to succeed him at Bloomfield Road. Blackpool have been without a permanent manager since January when Paul Ince was axed with Ferguson taking interim charge until the end of the season. Alex Oxlade-Chamberlain faces a vital few days in his bid to be fit for the World Cup, according to Arsenal boss Arsene Wenger. The 20-year-old has not played since Arsenal's win over Hull City on 20 April and is set to miss his side's trip to Norwich City on Sunday, but Wenger feels that his player could still be selected providing the injury does not require surgery. He is desperate to go - who wouldn't be? But we are in a job where your body responds or it doesn't respond. In the end, you need your body to play football. [ssnr]Brighton have it all to do if they’re to make the Championship play off final, their striker Craig Mackail-Smith is a guest on the latest FL72 Weekly which has previews of all the play-off games across the divisions. Plus there’s an ace look back on the final day of the Championship season that Birmingham fans will love, Doncaster fans not so much. [fl72]The Sky Bet League One play-offs get underway this weekend, and Preston will be looking to secure a first-leg lead in their home date with Rotherham on Saturday. Defender Tom Clarke will be available after missing North End's last two fixtures due to a calf injury and a virus, giving the Lilywhites a full complement of players to choose from. Manager Simon Grayson said on Thursday that he knew 80 per cent of his team and the likes of midfielder Joel Byrom have returned from loan spells to swell his numbers. Full-back Scott Wiseman played 90 minutes in the defeat to Crewe last weekend and has shown no adverse reaction to his knee injury. You can catch all of the action live on Sky Sports 1 HD from 5pm. [fl72]Rotherham are expected to recall Kieran Agard, Alex Revell and Nicky Adams to their starting XI at Deepdale. Agard and Revell dropped to the bench in last week's 2-1 win at Swindon in preparation for the play-off clash, while Adams had a bug and did not travel with the squad to Wiltshire. Wes Thomas, who scored both goals last week, Tom Hitchcock and Richard Brindley are likely to drop out. Richie Smallwood serves the final game of his three-match ban, but Mark Bradley (knee) will play no part in the push for promotion. 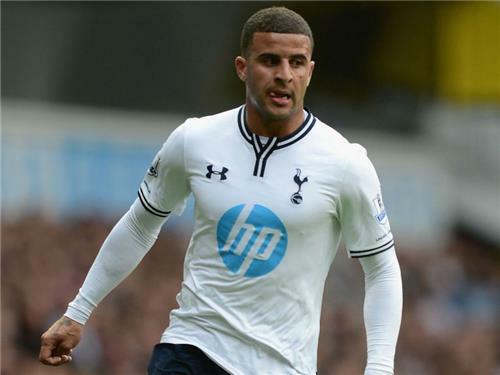 [tottenham]Kyle Walker will not feature in Tottenham's final Premier League game of the season when they welcome Aston Villa to White Hart Lane on Sunday - live on Sky Sports 3 HD. The England defender will still be hoping to go to the World Cup but a pelvic injury means he is again unavailable for Tottenham head coach Tim Sherwood this weekend. Winger Andros Townsend (ankle) remains sidelined along with club-record signing Erik Lamela (back) while Jan Vertonghen (ankle) and Etienne Capoue (foot) will hope to be involved after returning to training. [tottenham]Ahead of the Villa clash, Tottenham boss Tim Sherwood has also been discussing what he expects from Sunday's visitors to White Hart Lane. Tim: "On their day, Villa are a very good side and away from home, they are even better. They are a threat and we have to be aware of that." Tim: "I'd expect us to have a lot of the ball. We have to make sure we apply ourselves correctly and get what we need, and that’s a win." [cardiff] Ole Gunnar Solskjaer has admitted the buck stops with him following Cardiff's relegation from the Premier League. The Bluebirds will round off their Premier League campaign against Chelsea on Sunday and Solskjaer is already thinking of how they can bounce straight back up. I am the manager. I will take the blame. [betting]Have you made your Super 6 entry yet? It's the last one of the Premier League season, so don't miss the boat. Enter for free before 3pm on Sunday for your chance of winning the £250,000 jackpot. Play now! [manchestercity] Manuel Pellegrini says Sergio Aguero is fit for Manchester City’s final game of the season against West Ham on Sunday. [chelsea] Chelsea manager Jose Mourinho insists he has enjoyed his return to the Premier League, despite being fined twice by the Football Association in recent weeks. The Blues can still finish second in the table if they win in Cardiff and other results go their way on Sunday in the Portuguese's first season back in charge at Stamford Bridge, and he has picked out a surprising highlight. This season I lost a match at Stamford Bridge for the first time. I lost with the second goal (against Sunderland) and for me that's the highlight. [liverpool] Brendan Rodgers is set to give his press conference shortly as he looks ahead to Liverpool's final-day showdown with Newcastle. 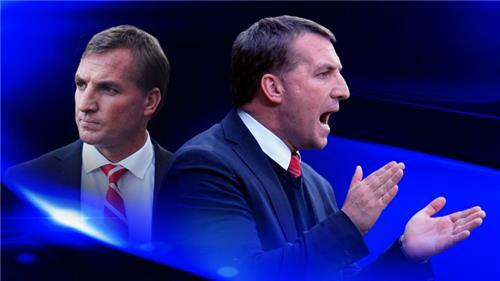 The odds are that the Reds will not land the title as they need Manchester City to lose, but Rodgers ‘should be considered a managerial genius whatever happens on Sunday’, argues own man Peter Fraser. [everton] A number of people have been linked with the manager’s job at Tottenham as speculation continues to suggest that Tim Sherwood will be replaced in the summer. Roberto Martinez is one of those reportedly on their radar and he says all the talk proves he is doing a good job at Everton. It is a little bit as I always answer - any sort of speculation we take as a real footballing compliment. [tottenham] Tim Sherwood has refused to be drawn on speculation about his future, saying he is focused on finishing the season with Tottenham. [cardiff] Juan Cala is to miss Cardiff's final Premier League game and the first two matches of next season in the Championship after a misconduct charge was found proven by the FA following his behaviour in or around the tunnel area after the game against Sunderland. [liverpool]Over to Liverpool because though the Reds look set to fall short in their title bid this Sunday, boss Brendan Rodgers has given his players a hearty back-slap for putting the club "back on the world map". I want to congratulate my players - I think we've had a remarkable season. They've put Liverpool on the world map again. Come Sunday we will fight right to the very end. If we end up not winning the title, I think to finish second to the richest team in the history of sport really shows the progress we have made. I think this is really only the beginning. I've had two years here and we have been progressing. This year we have made a step. I see and hear that other teams will improve, but I think we will improve dramatically as well next season. [qpr]QPR have pressing matters of their own tonight and, look, they've made it to Wigan, where the sun is shining. Can Harry Redknapp's side do a Derby and take a lead back to their own place? Coverage of tonight's play-off semi-final first leg is live on Sky Sports 1 from 7.30pm but we'll have live updates right here in this blog. Team news should be with us in 45 minutes or so. [wigan]Here's what we do know in terms of team selection tonight: Uwe Rosler has told us he'll have a "good pool" to choose from, though he's been coy about the identities of a coupe carrying knocks. Ali Al Habsi should return in goal, though, ahead of second-choice stopper Scott Carson. There'll be no Benoit Assou-Ekotto for QPR tonight - he's back at Tottenham for treatment on a knee injury - so Yun Suk-Young could continue at left-back. Ravel Morrison, Joey Barton and Richard Dunne should all return after they were rested against Barnsley on Saturday. [qpr]If you were hoping for some pre-match soundbites from Joey Barton, you're out of luck... will he be able to contain himself if he curls in a last-minute free-kick tonight? I guess we'll see. Yep, here's that Wigan change up top - Maynard on for Fortune - and here's another, Waghorn on in place of McManaman. No away-goal rule in the play-offs, just to mark your card. QPR wouldn't say no to one but that ain't the way to go about it, Joey Barton. A ball's laid into his path 30 yards out but - thwack! - and it's in the stands. There's the whistle - this one will be decided at Loftus Road on Monday. Wigan had the better of the half-chances; QPR's plan to frustrate them - especially in the first half - worked a treat. 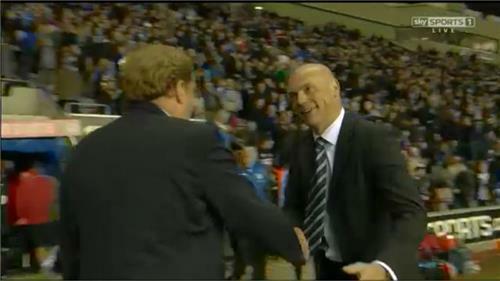 Smiles and handshakes between the two bosses - they knew that was going to be pretty cagey, didn't they? It was a game of few chances only. We knew it was going to be decided on Monday so we'll go there looking to get a result. We have the belief, the confidence that we can win. We'll view this as a positive result. We wanted something to take back to Loftus Road - we knew it was going to be tough - but it all goes to Monday now. The onus is on us now to get the win at home. I apologise to Kiernan - I did touch him and it was a bit reckless on my part. A quick reminder that you can see that decider at Loftus Road on Monday night, coverage starting on Sky Sports 1 from 7.30pm. Derby and Brighton will do battle for a place at Wembley on Sunday, the build-up for that game kicking off at 5pm on Sky Sports 2. 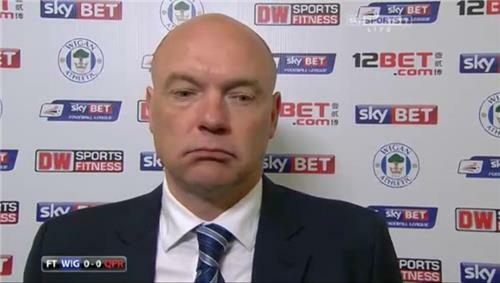 Uwe Rosler doesn't look too happy... but is he on reflection? A fair result? No, not really, when you see how much we had the ball. We put some good crosses in and had one or two really big chances. It would have been nice to have won the game - at the moment we're not scoring many goals - but we're still in the tie. It was always going to be tight but we missed a killer instinct. We're not disappointed because we're right in the tie and it will be interesting in London. For sure, we take a draw. It was two evenly-balanced teams and it's all to play for; you wouldn't like to pick a favourite. They're a good side and they'll come to our place and be dangerous. I picked an open team - a few of the backroom lads thought we should be more defensive - I played two wingers, a striker, Ravel Morrison... so no-one can say I played for a draw. It's even, absolutely even. [mobile]As sponsors of the Football League, Sky Bet are showing customers the play-offs live on their mobile app. Download the app now to take advantage of this great offer. 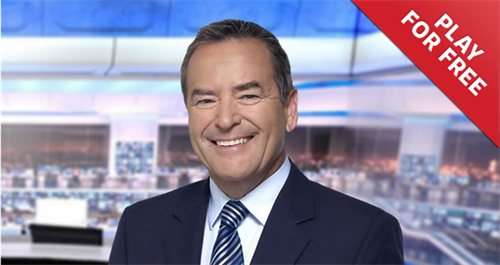 New to Sky Bet? Get your free £30 matched bet here.